The game is afoot with this robust digital exploration into the intriguing world of Sherlock Holmes. 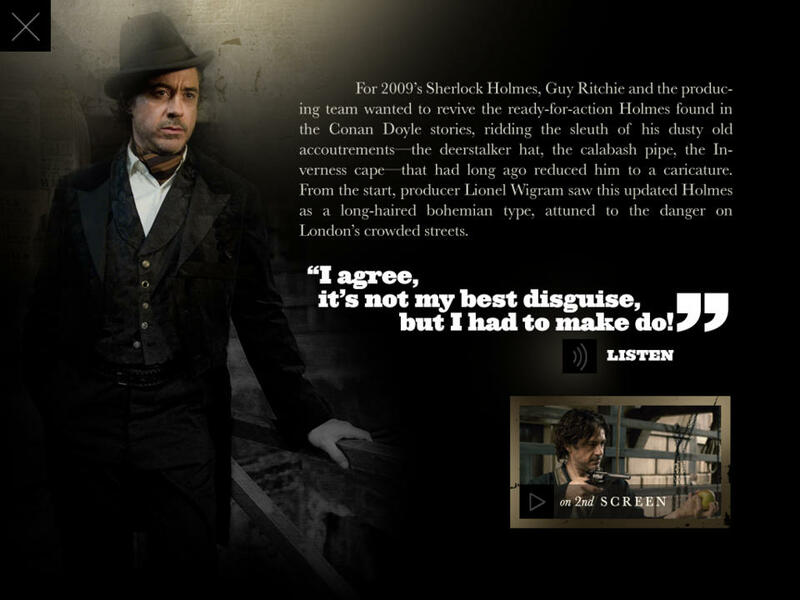 Follow Sherlock’s red ribbon to examine the connections between the characters, locations and events within the story. Then sync to the movie to reveal the mysteries behind the film’s production, cast and crew.